After dinner, Proust got into his taxi with his hosts, Violet and Sydney Schiff, and without asking, Joyce followed them in. 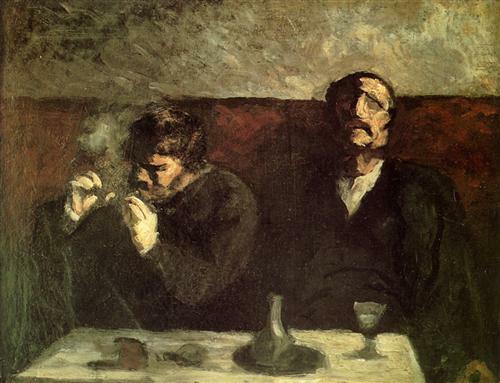 His first gesture was to open the window and his second to light a cigarette, both of which were life-threatening acts as far as Proust was concerned. During the journey, Joyce watched Proust without saying a word, while Proust talked continuously and failed to address a word to Joyce. When they arrived at Proust’s flat at the Rue Hamelin, Proust took Sydney Schiff aside and said: ‘Please ask Monsieur Joyce to let my taxi drive him home.’ The taxi did so. The two men were never to meet again. We are all right, including the cat who is wounded in a catfight.